Even though today is Wednesday, I couldn’t resist writing a post about this past weekend and the cray-cray weather we had up in hurr. True, I’ve lived here a measly two years but from what I can gather, a typical spring day in Jackson Hole usually consists of drab, muddy, semi-cold weather. Sure, we’ll get the occasional 65 degree day where everyone busts out in stark whiteness while ski goggle tans begin to fade, but that is a rarity. Such days are cherished. Well folks, this past weekend broke the mold. Saturday and Sunday were both in the 70’s! My Hawaiian Tropic tanning oil basically stood at attention. I woke up Saturday morning and it was gorgeous. Most Saturdays are spent laying in bed with a book for half an hour or so in hopes that Bryan will whip up his delicious pancakes, but not this morning. I sprang out of bed, made myself a bowl of oats and sat on our patio in the DIRECT sun while reading. While Bryan studied (he’s up to about 6-8 hours a day WITH a full-time job) I went to the gym and tried to burn off the ENTIRE humungous plate of pad thai I had hoovered down the night before. After that it was time for a much needed study break for Bryan. 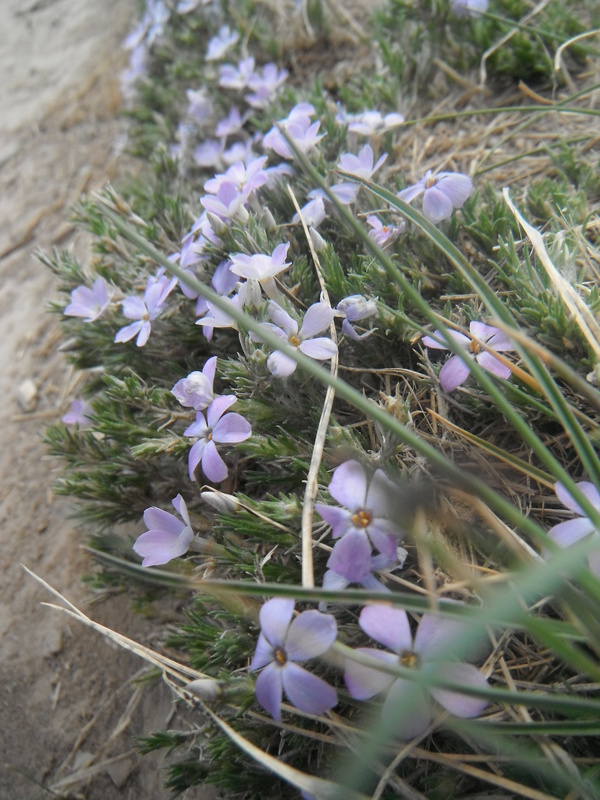 One of our favorite mini-hikes in town is High School Butte. 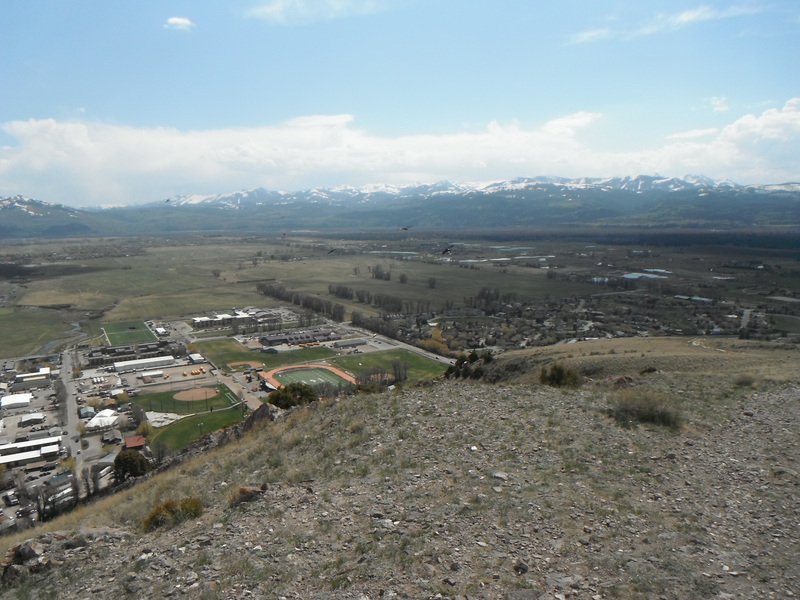 Getting the name because of it’s close proximity to Jackson Hole High School, HS Butte is a quick and easy way to sneak in a small work out while still getting outside. I sound like I’m promoting a new workout. I am not. 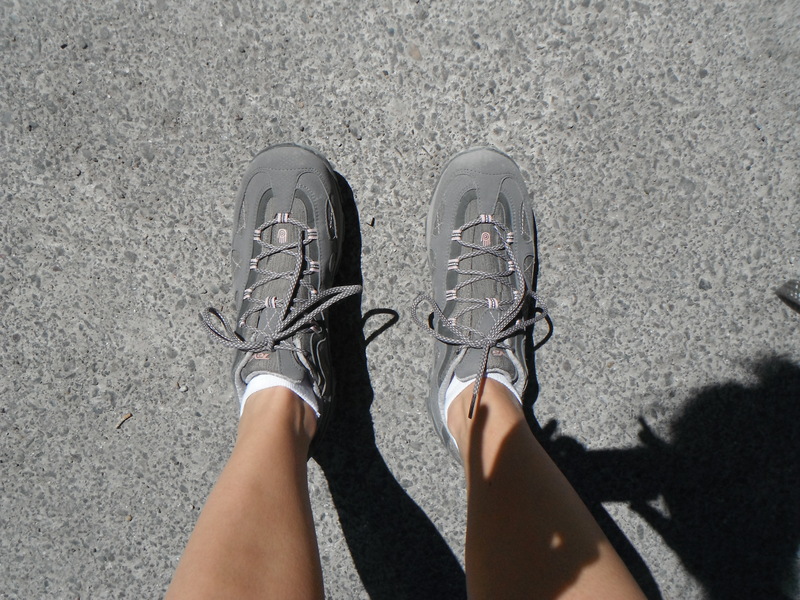 I decided to don my new Teva hiking shoes in hopes of breaking them in before Bryan drags takes me on some longer hikes this summer. At least they have a little pink on them. On our way down we decided to take a walk on the levy to stretch our legs, skip some rocks, you know – shake things up a bit. After all, it’s neature! That night we Q’d up some salmon, which was outta this world and then hit the sack. Sunday we trekked up HS Butte once more, only this day was a little more on the windy side. 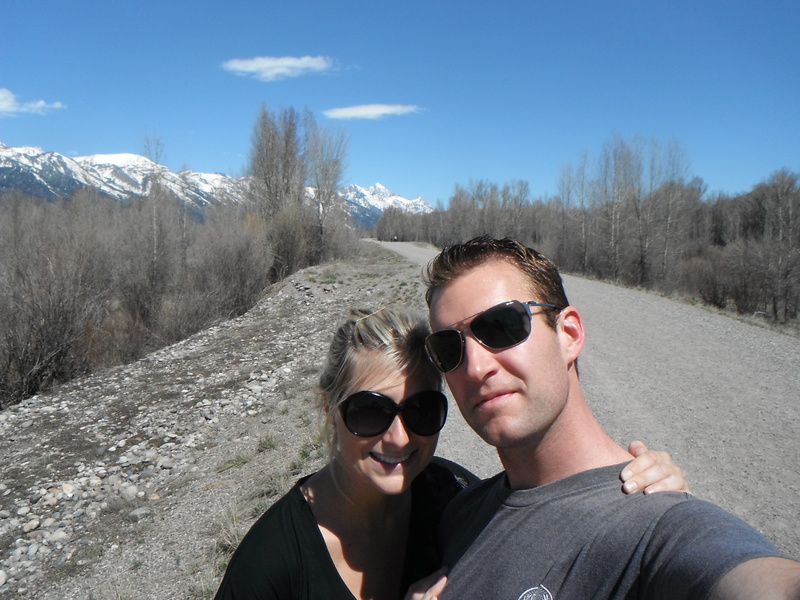 Then we set out on the inner park road (in Grand Teton National Park) on bike with our pals Josh and Katie. Since I don’t own a bicycle (yet) I borrowed one from Katie. The bike seat needed a small adjustment to accommodate all 6 feet of me and we didn’t have the right tools to make said adjustment. I felt like the giant kid who was trying to ride her little sister’s trike and her knees hit the handle bars. Ha! It wasn’t that bad at all, in fact the bike was a very smooth ride. We brought along some drinks and made our way to Jenny Lake, which was so incredibly pretty. So pretty in fact, that I forgot to snap a picture. After we got back home, Bryan made burgers and fries while the 4 of us watched The Office on Netflix. Oh Dwight, how I adore you. 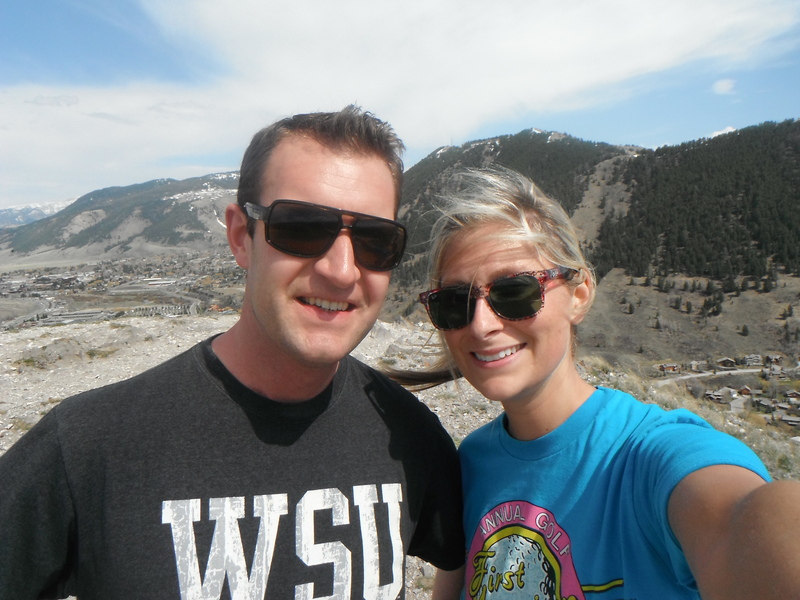 Yesterday (Tuesday) was also a beautiful day and we decided to go up the Butte yet again. 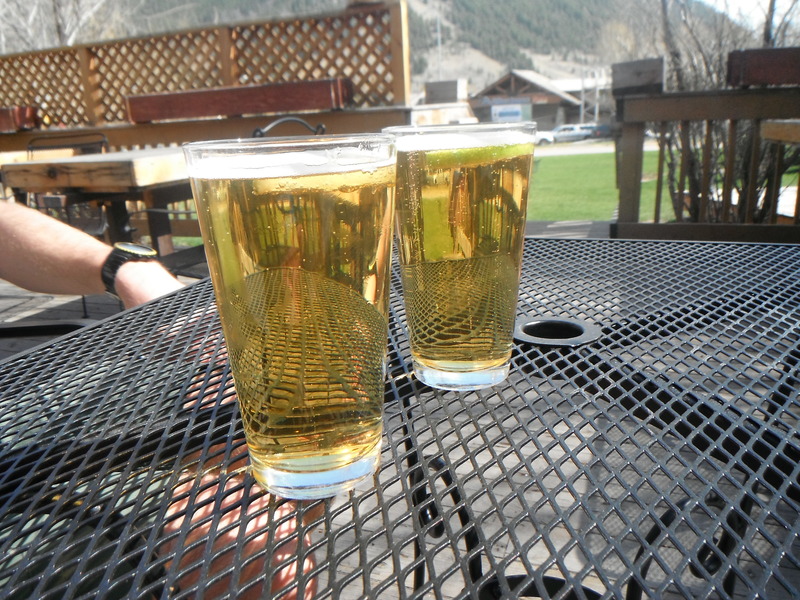 Only this time, we followed our mini-hike immediately with beers enjoyed al fresco at Cutty’s. Omg, I am sooo Jackson-y.